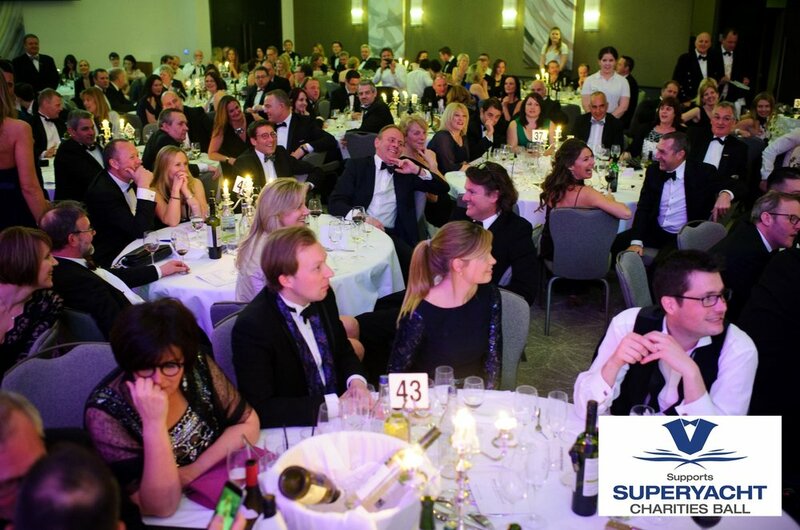 The purpose of this Superyacht Charities event is to promote awareness, and to assist in raising funds for charities that Superyacht professionals both participate in and already donate to. This year, the two chosen charities to be represented at the ball are; Sail 4 Cancer and Turn to Starboard. Sail 4 Cancer was established in 2001 by a group of sailors who sadly, had all lost a relative or close friend to cancer. Primarily, the charity provides water based respite days and holidays for families who have been or are affected by the illness. Turn to Starboard work alongside and support Armed Forces personnel who have been affected by military operations by way of conducting RYA sailing courses. Founded by Shaun Pascoe, an RAF Squadron Leader (Rtn), the idea of conducting sailing training to overcome the transition back to civilian life, was inspired by Shaun’s own experiences having toured Kosovo, Sierra Leone, Iraq and Afghanistan. To aid the fundraising for these fantastic charities, there will be a Premium Raffle and Grand Auction held on the evening. In 2017, some of these prizes included; a VIP visit to the Red Arrows, England Rugby Tickets and a Luxury Beach Hut Weekend! Collectively of which, raised a huge £37,000.00 which was distributed between the chosen sponsors. Of course, there will also be dinner, musical entertainment, dancing and an after party for all attendees. If you would like to contribute to the cause, please contact info@superyachtcharities.com to find out more.